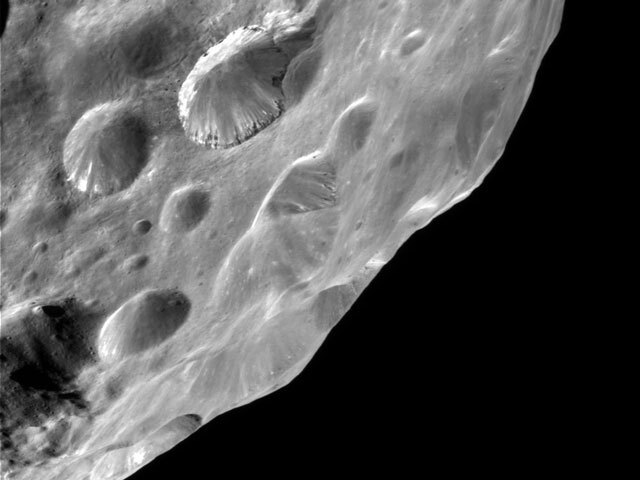 Explanation: What caused the unusual light and dark layers on Saturn's moon Phoebe? The layers were discovered just Friday during the Cassini spacecraft flyby of the small moon. Such layering is particularly evident on the crater just above the image center, where alternating light and dark material makes this crater appear particularly structured. Cassini scientists speculate that such layering might result from an impact where a dark surface layer becomes intertwined with a lighter subsurface ice layer. 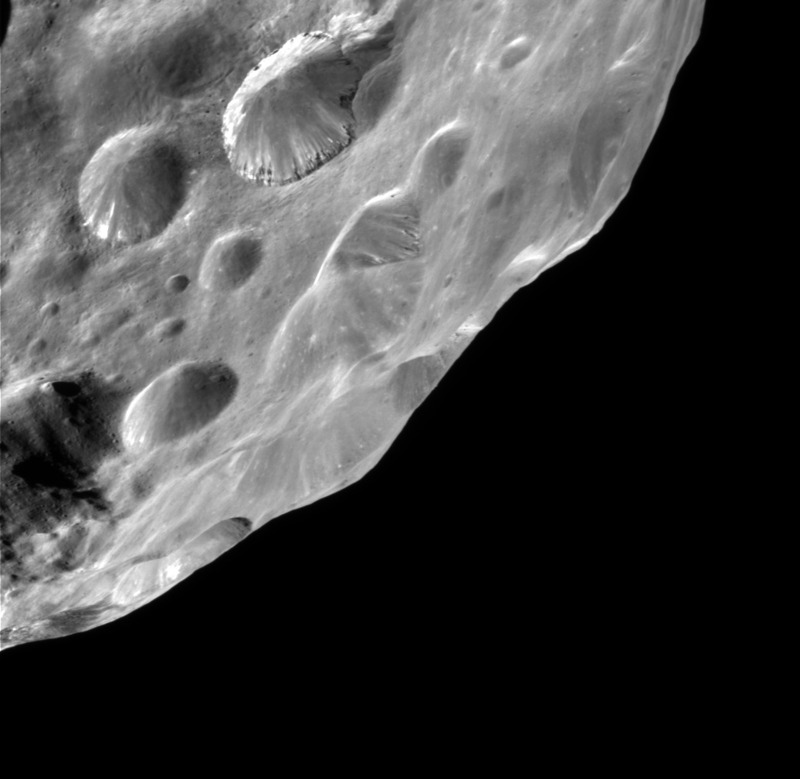 The above image spans about 80 kilometers and was taken when Cassini was only about 13,000 kilometers from Phoebe. At the end of June, the Cassini spacecraft will be instructed to fire its thrusters to decelerate into orbit around Saturn.